Whether you're an OEB concentrator, or have never done a pset in your life, you'll enjoy the Museum of Science's (FREE) College Night, with live animal shows and other exhibits. As Harvard students, we’re lucky enough to live just few T stops away from the incredible city of Boston. As great as that is, it’s all too common to get stuck in the “Harvard Bubble” and go about your days (and years!) without ever leaving the Square. However, if you’re looking to see something other than the Smith Campus Center this weekend, there’s plenty to do if you’re willing to burst the bubble. 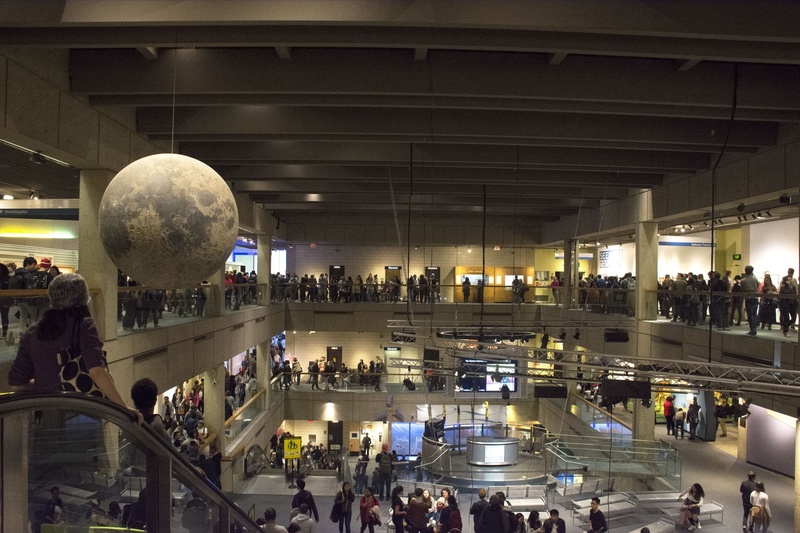 Admission to the Museum of Science in Boston is usually $28, but this Friday from 5-9 p.m., the museum is holding “College Night” where you can get in free with your HUID! There will be live animal shows, Boston Duck Tours, and something called the Theater of Electricity, among other exhibits, so it’s sure to be a fun time. Gather some blockmates or entrywaymates and take advantage of this night at the museum! Every town likes to celebrate its great inventors and their inventions, and lucky for us, Somerville was once home to Archibald Query (what a name), the inventor of Fluff (a.k.a. marshmallow cream). Every year, Somerville pays tribute to him with a Fluff-themed festival, which involves more marshmallow fluff than most people have ever encountered in their lives. If this sounds like your scene, head to Davis Square this Saturday from 3-7 p.m, and you might never think of Fluff in the same way again. This event is in Cambridge so is it really bursting the bubble? Idk, but dumplings are great, and it’s even within walking distance. This Sunday from 11 a.m. to 5 p.m., 15 different restaurants and food trucks will be serving up dumplings of all types to hungry market-goers. This event is hosted at the weekly Central Square Flea Market, so in addition to the dumplings there will be over 90 vendors selling just about everything handmade and/or vintage that you can imagine. We hate to burst your bubble, but Harvard is not the entire world. So go forth and burst the Harvard bubble with these events!